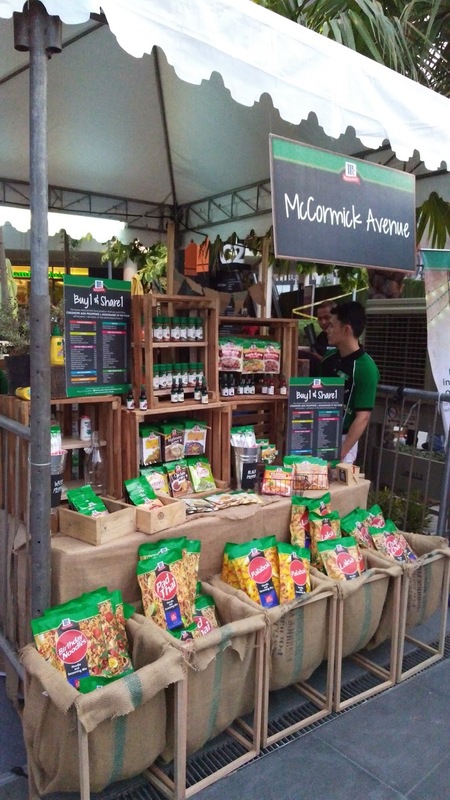 Last April 30, we visited BGC High Street Amphitheater to experience the McCormick Flavor Nation Festival, an event that was meant to launch their newest products, the Noodle Flavors. They had a pretty nice set-up and our first stop was the registration booth where the organizers gave us a passport which serves as our ticket to free noodles and other treats. 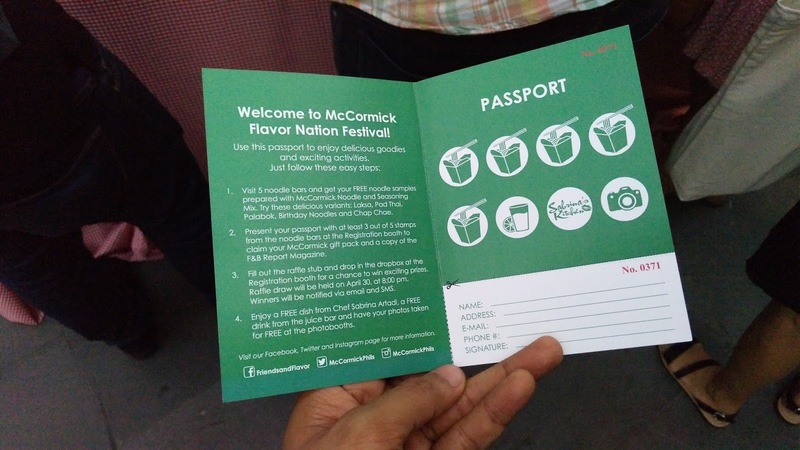 In addition, we get a McCormick loot bag when we complete at least 3 out of 5 stamps. Despite the immense summer heat, chefs for each of the 5 new noodle flavors was ready to serve in the noodle bars. The New McCormick Noodle Flavors included the following: Birthday Noodles, Chap Chae, Laksa, Pad Thai and (our very own flavor) Palabok. There were a lot of people lined up so we picked 3 flavors to try. Our first stop was the birthday noodles. The servers included additional toppings like carrots, quail eggs and some kind of fish cake in addition to the new flavor mix by McCormick. This can be done when you actually create your dinner with McCormick’s Birthday Noodle Flavor. 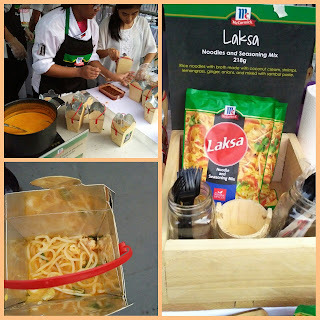 Our next stop was the Laksa bar coz we just love laksa. 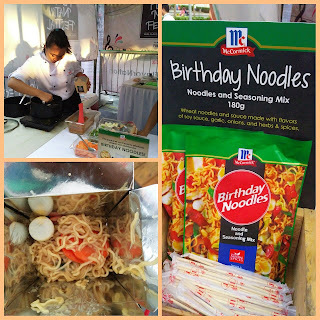 When we got our noodle box, it was just what we expected, spicy and creamy. It was a nice jolt of spice, doubled with the summer heat (hot, hot, hot!). They added mushrooms and shrimps which you can also do when you prepare your own serving with McCormick’s Laksa Noodle Flavor. Lastly, we lined up in the Palabok bar. It was nicely done with chicharon, onion leaves and egg toppings. 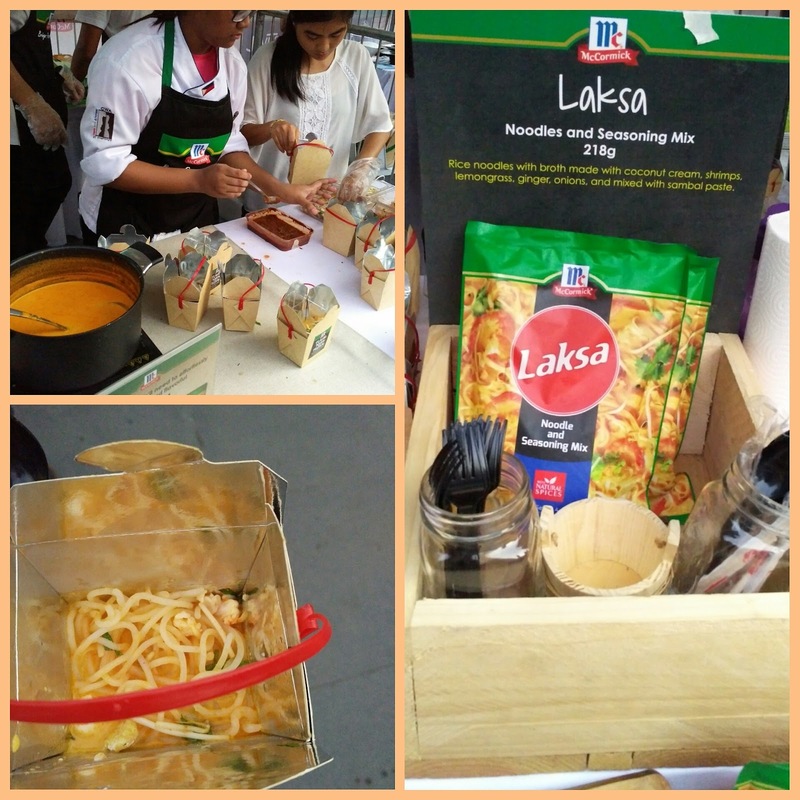 Our favorite noodle sample was Laksa. I’ll definitely try my own mix using the new Laksa Noodle Flavor. 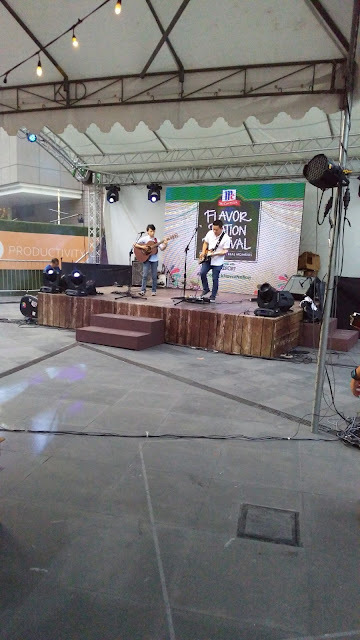 We stayed for almost an hour at the venue while enjoying the free noodle samples and we were entertained by a couple of indie artist that generally makes up a great Saturday afternoon. Aside from the noodle bars, there are also food booths headlined by different chefs. 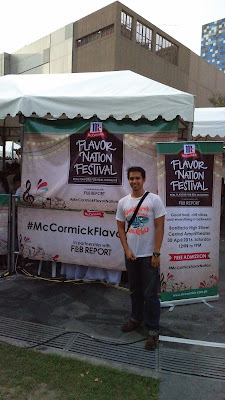 The clear best seller was Master Churrero Jordi Barraca of Churreria La Lola’s Churros con Chocolate. A must try dessert can be topped by Cinnamon or get a Chocolate sauce combo. 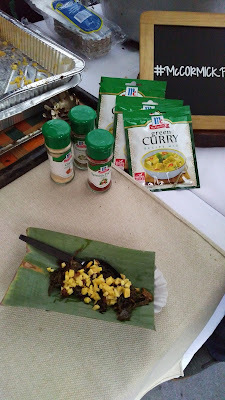 Sabrina’s Kitchen also provided a special dish, Laing with other McCormick flavors and green mango. It was a fusion of multiple tastes. There was also juice bar, with different choices of fruit teas and juices. And a unique photo booth of a different kind of background. 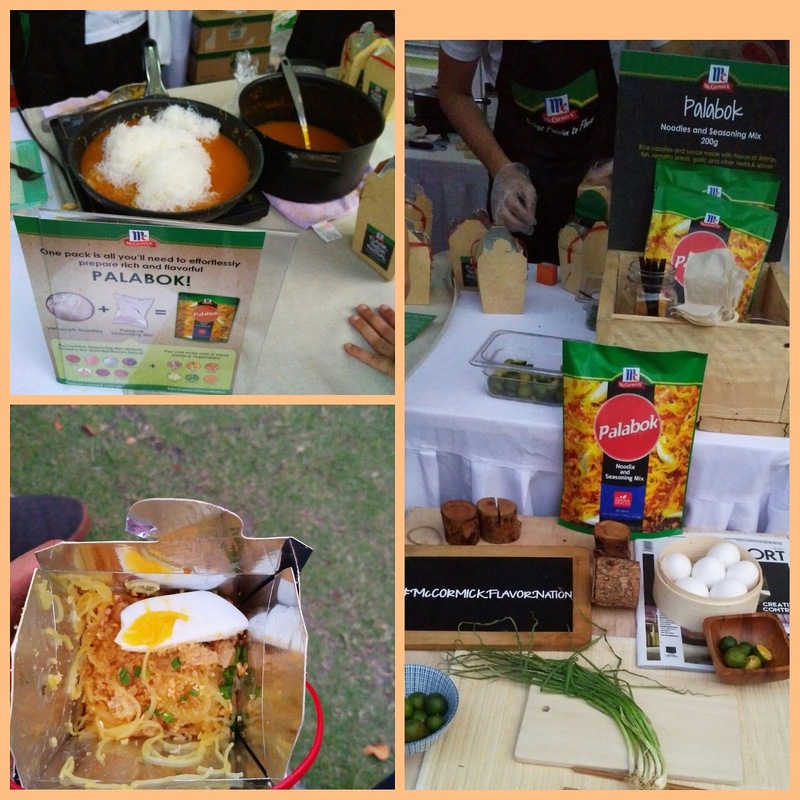 It was a fun afternoon spent with McCormick’s newest Noodle Flavors of Birthday Noodles, Laksa, Pad Thai, Chap chae and Palabok.